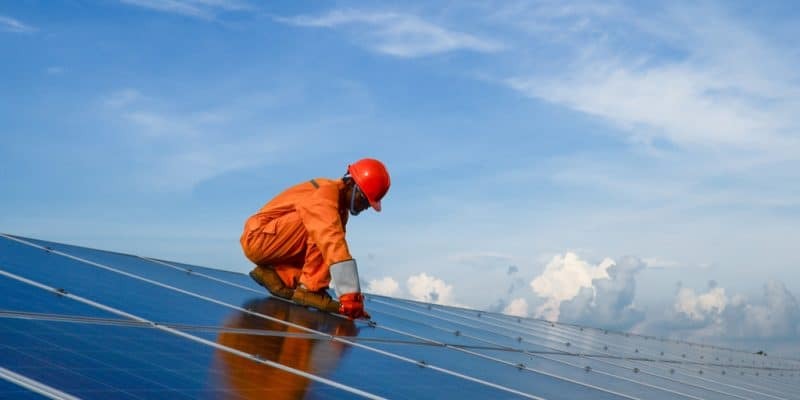 The Burkinabe authorities have just signed agreements with private power producers (IPPs) to develop six solar power plants that will supply a total of 155 MW. The future infrastructure should make it possible to increase the rate of access to electricity in Burkina Faso. Burkina Faso is resolutely moving towards renewable energies. On the occasion of the third edition of the African Energy and Renewable Energy Week (Seera), which was held from April 4 to 6, 2019 in Ouagadougou, Bachir Ismaël Ouédraogo, the Minister of Energy signed several agreements with private power producers (IPP). These companies will produce 155 MW of electricity from six solar power plants. According to Bachir Ismaël Ouédraogo, a power purchase agreement (PPA) has already been negotiated with the Burkinabé National Electricity Company (Sonabel), the company in charge of the transmission and distribution of electricity in Burkina Faso. It will buy the electricity produced by the IPPs over a 25-year period at a price of 50 CFA francs ($0.09) per kW/h. The government presents this feed-in tariff as a moderation “record”. In some African countries that are more advanced in renewable energy production, however, tariffs for the purchase of solar electricity are negotiated at lower prices. In Zambia, for example, the IPPs selected under the Get REFit Programme (renewable energy feed-in tariff) will sell electricity to Zambia Electricity Supply Corporation Limited (Zesco) at an average of $0.04 per kW/h. With an electricity access rate of 21% in 2017, Burkina Faso has high hopes for these six solar power plants. The government aims to increase to 45% by 2020. Hence its project to diversify energy sources, particularly with solar energy and electricity interconnection with countries in the sub-region, including Ghana and Ivory Coast. In the same perspective, the government of Burkina Faso wants to reduce the cost per kW/h, which currently varies between 125 FCFA and 130 FCFA (between 19 and 20 euro cents). Ranked among the cheapest renewable energy sources, solar energy could help the government in this strategy.